Nigerian – Canadian, award-winning worship-leader, singer, songwriter and gospel recording artist, Ayo Oni is set to premiere tracks from her “No One Else” Album. 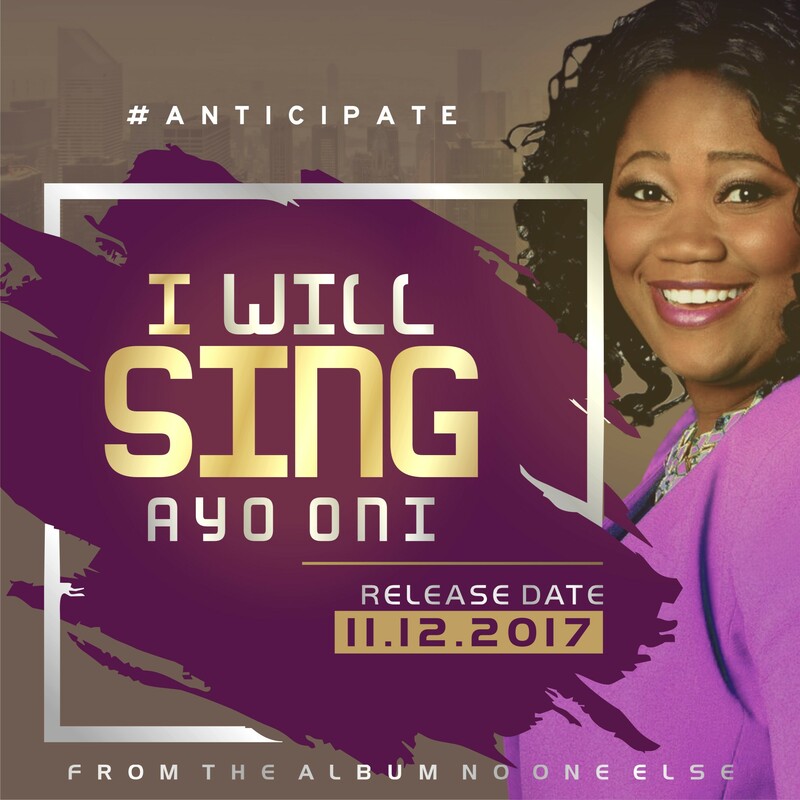 The first track to be premiered on the 11th of December 2017 is titled “I Will Sing”‘. “I WILL SING” is a praise and worship song that shows our essence of deep gratitude to God. The song is groovy, upbeat, engaging and easy to learn. The inspiration behind “I WILL SING” as given by God and written by Ayo is to show how good it is to sing to the Lord and shout His praises with great expressions in all situations. You are free to praise Him in your own way even if you have to jump, bow, shout, wave, etc. Just do not let anything hinder your praise. Sit back and relax as Ayo is ready to bless us with some of the songs from the album before the end of the year.